One of the best things about being a member of the Twin Oaks Team is that I get to work with a group of wonderful ladies who are some of the most talented, hardworking people I know. These girls are the real deal! They work incredibly hard to pull off some seriously stunning weddings and events, and I'm thrilled to introduce you to each of them over the next few weeks! First up, meet Lea Canady! Lea is a junior planner at The Barn. She is a recent graduate of Arkansas Tech University with a Bachelor of Science in Hospitality and an emphasis in Event Planning. She started out as an intern back in the spring of 2013, and she recently became a junior planner. We love having Lea on our team, and our brides adore her, too! Several brides have told me what a pleasure it was to work with Lea, and I know it's because she's the sweetest girl ever! Lea is originally from Harrison, Arkansas. Her hobbies include spending time with her family and friends, shopping, crafting, and being organized. That last one is part of what makes her such a great wedding and event planner! She's also recently engaged to John Micheal, and we're all thrilled for her! Sterling Imageworks. Morgan + Wager's altar was one of Lea's favorite details ever! Lea said some of her duties as a junior planner include "setting up meeting times, making a day-of timeline for each bride, and coordinating the day of the wedding." "I also work during the week setting up tables, ironing linens, cleaning the bridal suite and pulling items for the upcoming wedding," she said. "A normal day at The Barn includes cleaning items from previous weddings, pulling items for the upcoming wedding, sweeping The Barn, setting tables, ironing linens, and answering emails and texts from brides." Since I am rarely at The Barn and don't see much of the work that goes into putting together one of our beautiful weddings, I always love to hear about what Lea and our other team members do on a normal day. I think most people assume wedding planning is always fun and glamorous, but these ladies work SO hard. It isn't always pretty. But Lea and the team make it look effortless, and each wedding turns out flawless because of their hard work and creativity! 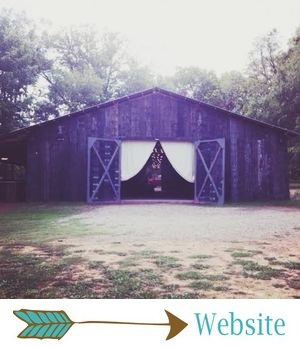 The Barn isn't the only event venue lucky enough to work with Lea; she was an intern for Big Cedar Lodge in Branson, Missouri last summer, where she helped with weddings and events. Some of her duties included "contacting vendors that were involved with the wedding (for example the cake provider, fireworks vendor, and the staff onsite so everyone knew where to be)." She helped with coordinating ceremonies and receptions. She's also served at many hospitality events at Arkansas Tech and other community events. Sterling Imageworks. Lea always loves The Barn's florals, especially bright, colorful ones like Morgan's bouquet! Lea's favorite detail to plan for weddings: the altar! One of her favorites was from Morgan and Wager's elopement. She loved the bright colors, rustic pallets and the hanging flowers. She also loves The Barn's florals. "One of my favorite things about being part of The Barn team is all the friends I have made along the way," she said. "One of my favorite things about my job is having an awesome team that supports each other, and it's a fun job with decorating and making an empty barn look so magical at the end of the week. I love it!! So glad I have this opportunity!!" Lea, we all love having you on our team, too! As a former Barn Bride who had the chance to work with you on my wedding day, I can definitely understand why brides love having you as their wedding planner! You are super sweet, and you make brides feel at ease!